So, I am a little more than half way through with my blue sky shrug. I really do love this pattern. 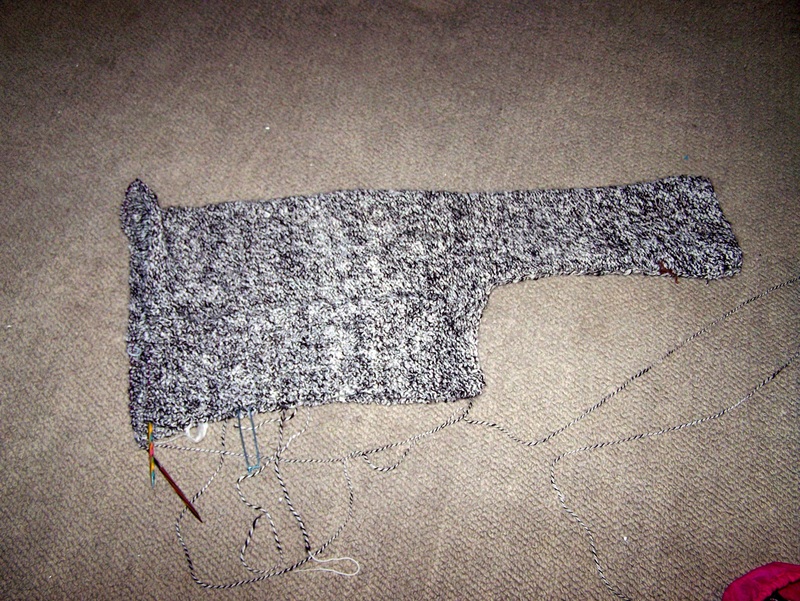 It is so simple to follow but it is taking more time than I would like to finish it. I thought I had less yarn than I do and I’m already wondering what to do with the leftover homespun. Of course, I’m not as thin as the model below, but I’m looking forward to wearing this. Here in Florida, alpaca is used sparingly. Today is cold and my cats are continually sitting on my work in progress. This weekend has been especially lazy. I have zero motivation. I’m even having trouble getting enough energy to surf through pinterest. I did manage to finish my chocolate homespun yarn. 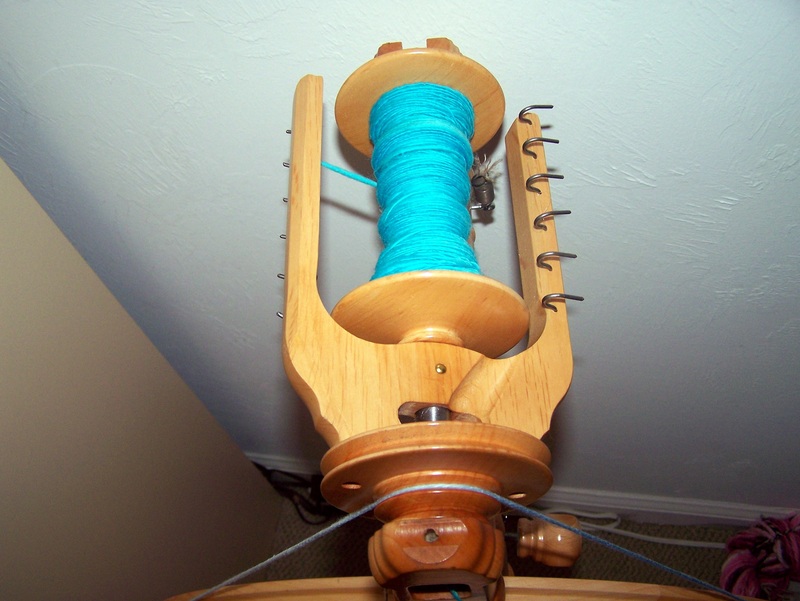 I bought the batt at the Florida Fiber In back in September but haven’t really had time to sit and spin it until recently. I tried to create a thicker yarn this time and it worked. I used the navajo plying technique to create a three ply and I can’t wait to use it. I’m not sure for what yet, since I don’t have that much. 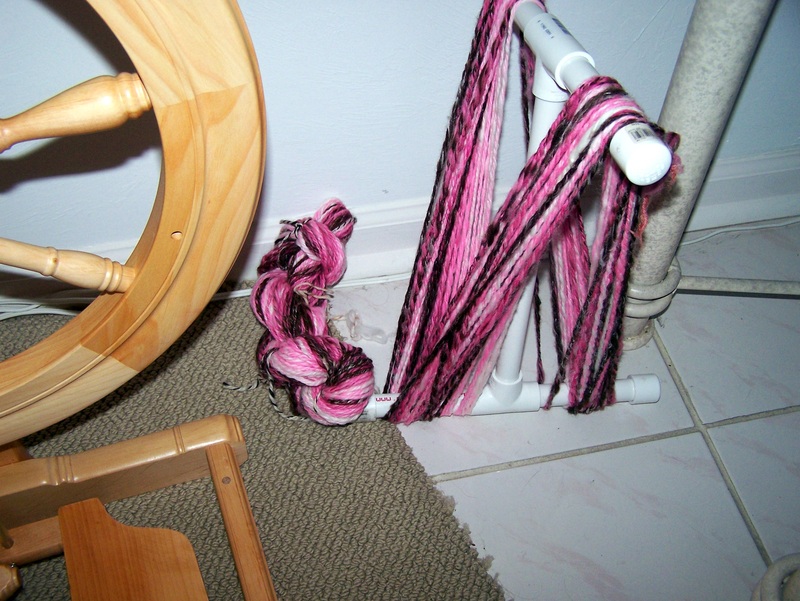 Finally, I started a bobbin of what will become my cotton candy yarn. I also bought this at the Florida Fiber In back in September. I’m going to pair it with a gorgeous hot pink. I’m thinking socks for this two ply yarn.